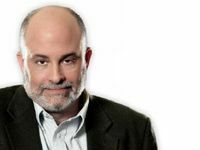 Mark Levin: "I Can Barely Contain My Fury At What Is Going On"
MARK LEVIN: You know folks, I'll be honest with you. I just told a friend of mine -- even though I sit behind this microphone and I try to be civil and so forth -- I can barely contain my fury about what's going on in this country. I'm just being honest with you. I can barely contain it. I'm so frustrated by this tyranny, you have no idea. Now we can analyze it, we can intellectualize it, we can parse it and so forth and try to unravel it. But I'm just telling you, from an emotional point of view, it is just so damned infuriating to see the greatest country on the face of the earth run by a bunch of lilliputians, who are constantly attacking it from within. Bill Burton On Diversity In The White House: "Barack Obama Is Black"
Krauthammer: Obama Acknowledged The Afghanistan Surge "Failed"